Blake Raymond Anderson is a comedian, actor, screenwriter and producer born on 2nd of March 1984 in Sacramento County, California, USA, best known as one of the actors and co-founders of the “Workaholics” TV sitcom. Have you ever wondered how rich Blake Anderson is? 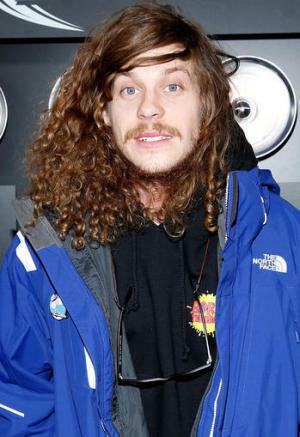 According to sources it has been estimated that Blake Anderson’s overall net worth is $3 million. Blake acquired his wealth by building a successful career as a comedian mainly on TV screens. His involvement in the “Workaholic” sitcom brought him fame and significantly added to his net worth. Since he is still active in the entertainment industry, his net worth continues to grow. Anderson attended Clayton Valley High School in Concord, California, and was always mocked for his long fuzzy hair but which is now one of his main trade marks. During his teenage years he moved to Los Angeles to work with improvisational comedy troupes like “Upright Citizens Brigade” and “The Groundlings”. Apart from this, Anderson also toured the country as a member of the National Lampoon Lemmings. Blake subsequently had a part-time job as a pizza delivery driver in order to support his schooling at Orange Coast College in Costa Mesa, where he met his future colleague and friend Adam DeVine. In 2006, Blake established a sketch comedy group called Mail Order Comedy with DeVine as his contributor among others. This organization developed pretty quickly and has consistently sold-out comedy shows around the US. Anderson writes and produces all of its material, also including “Workaholics”, a sitcom which premiered on Comedy Central in April 2011. Apart from being the writer and producer, Blake also acts in most of his shows. On the other hand, Anderson performs stand-up comedies in famous places, and has appeared in numerous popular shows including “Community”, “House M.D.”, “Special Delivery”, “Traffic Light” and “Entourage”. Blake has also appeared in some films such as National Lampoon’s “The Legend of Awesomest Maximus” (2009), “Ratko: The Dictator’s Son” (2009), “Epic” (2013), “Neighbours” (2014) and “Dope”(2015). Some of his other notable roles include those in “Community”, “Arrested Development” and “Loiter Squad”. His more recent activities include appearing in episodes of the TV series “Comedy Bang!Bang!” and “Drunk History”, and playing a role in the 2015 film “Scouts Guide to the Zombie Apocalypse”. Anderson also appeared as an extra in FUN’s music video “We Are Young” and in 2011 he had a cameo in One Direction’s “One Thing” music video. When it comes to his personal life, Blake Anderson married Rachael Finley in September 2012 and the couple have a daughter, Mars Aliah Anderson born in 2014. An incident which happened at his house party in 2011 required Anderson to undergo a surgery after fracturing his spine, however, the comedian recovered successfully. Blake is a constant supporter of the Hyphy hip-hop music scene in East Bay, California, and stated that Lil B was one of his favorite performers. 1 Shares the same hometown with Tom Hanks and Dave Brubeck. 2 Anderson studied with The Groundlings and Upright Citizens Brigade. 3 On December 17, 2011, Anderson required surgery after fracturing his spine during a house party by jumping from his roof onto a beer pong table. 4 Blake went to Clayton Valley High School. 5 He was made fun of for his curly hair, so he decided to shave it off because of peer pressure in 1998. 6 He attended Orange Coast College and later formed the comedy group Mail Order Comedy with co-stars and co-creators Anders Holm, Adam DeVine, and Kyle Newacheck. Their videos can be found on Youtube. 420 Special: Attack of the Show! from Jamaica 2008 TV Movie writer - segment "Wizards Never Die"
Purple Magic 2009 Short performer: "Purple Magic" / writer: "Purple Magic"
Potion Mixin' 2009 Short performer: "Potion Mixin'" / writer: "Potion Mixin'"
Wizards Never Die 2009 Video short performer: "Wizards Never Die" / writer: "Wizards Never Die"
Straight Outta Mordor 2009 Video short performer: "Straight Outta Mordor" / writer: "Straight Outta Mordor"
I'm Kind of a Nasty Dude 2009 Short performer: "I'm Kind of a Nasty Dude" / writer: "I'm Kind of a Nasty Dude"
Mail Order Comedy: Best Friends 2006 Video short performer: "Best Friends" / writer: "Best Friends"